Too cute! Just weeks after the birth of Prince Louis, Prince William is back from paternity leave. Over the weekend, the royal made a quick pit stop in Jordan to tour the land and "build a real and enduring relationship with the people of the region," according to Kensington Palace. William did plenty of sightseeing as he hung out with the Crown Prince of Jordan Al-Hussein Bin Abdullah II. 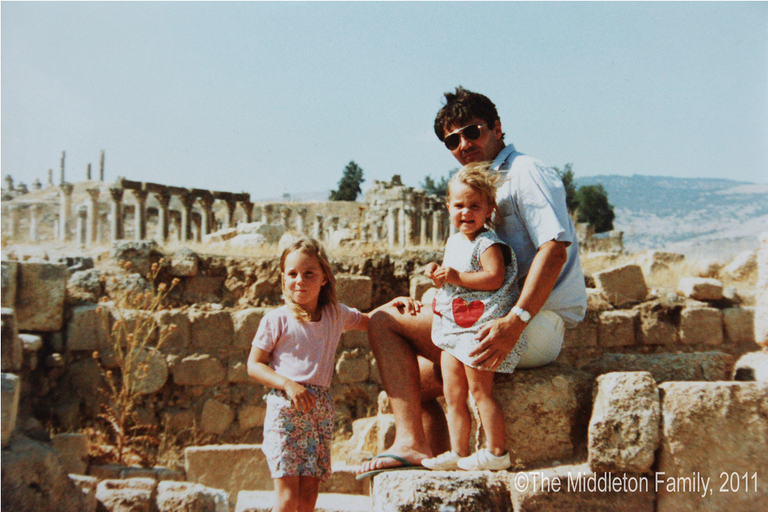 And while the two visited many places in Jordan, including a university, one of their most memorable stops was the Jerash archaeological site, a first-century Roman city. Kate looked totally adorable -- and blonde! -- as she posed with younger sister Pippa and father Michael. Of course, in one of the most romantic gestures we've seen from William, he took a photo in the same exact spot as Kate did when she was younger. For more on William, watch the video above.